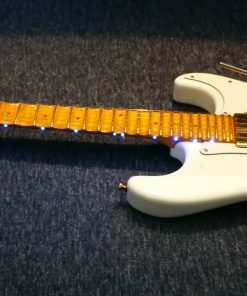 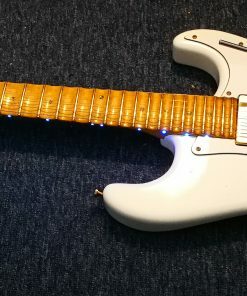 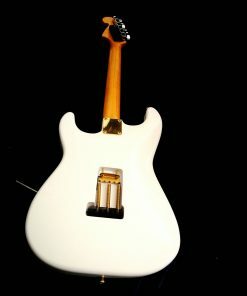 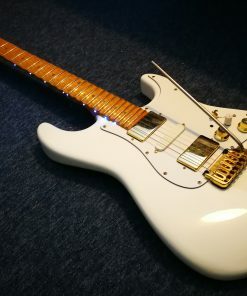 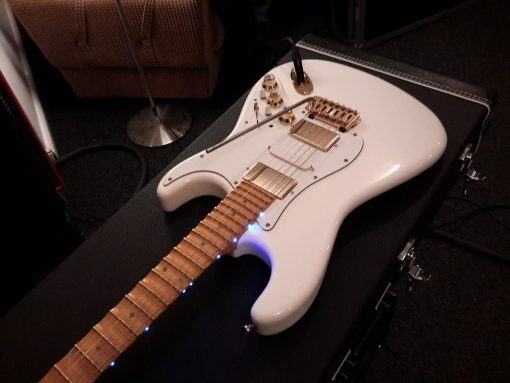 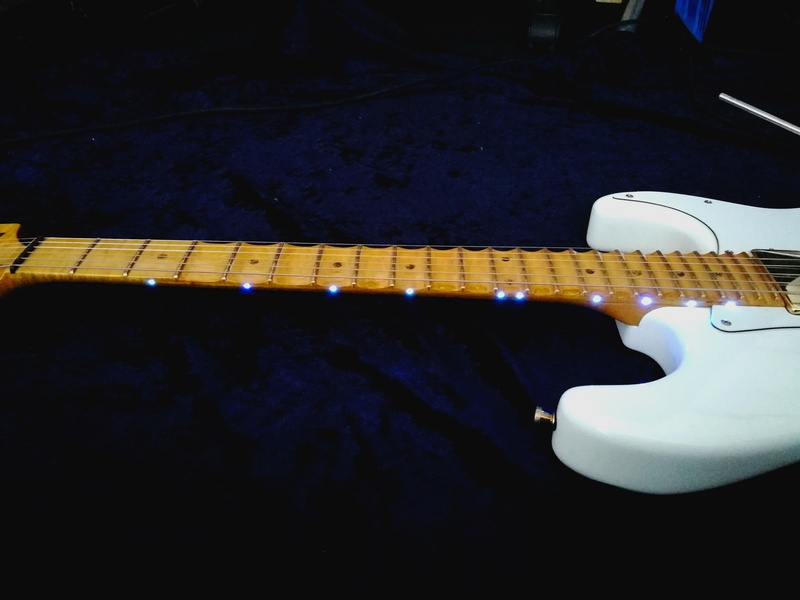 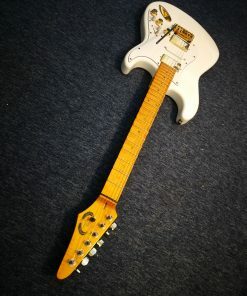 The idea for a SKY SUPER STRAT came about several years ago in order to celebrate an Anniversary of Uli’s early Scorpions and Electric Sun days. 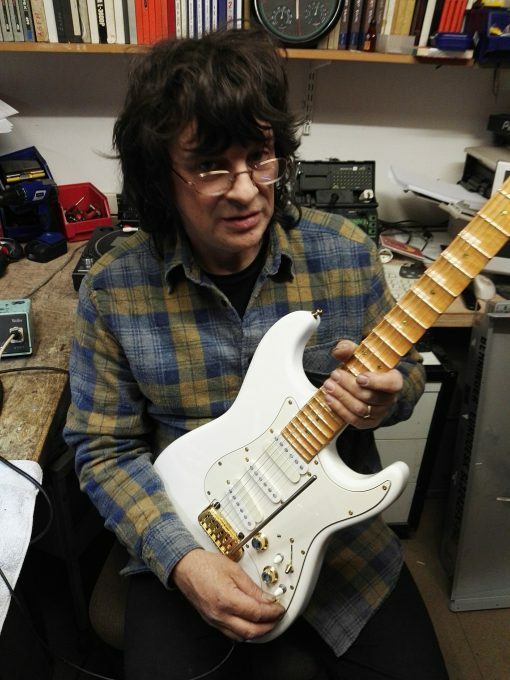 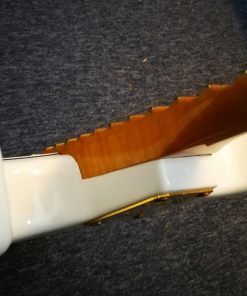 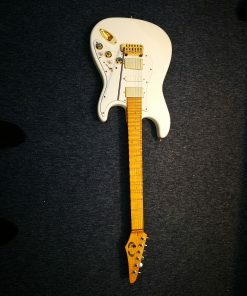 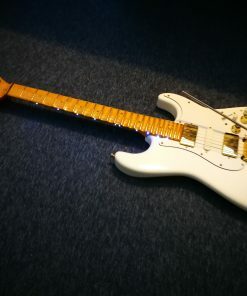 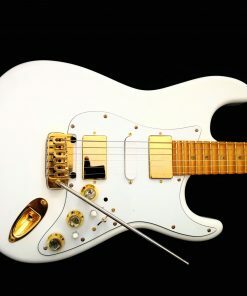 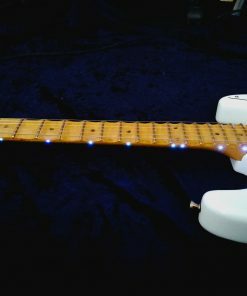 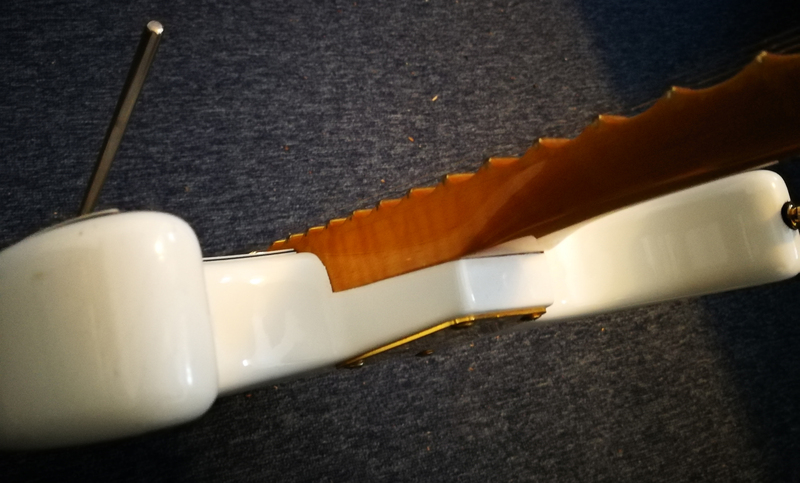 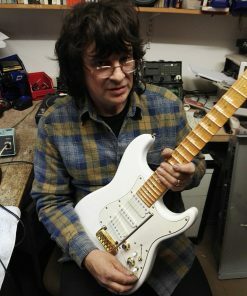 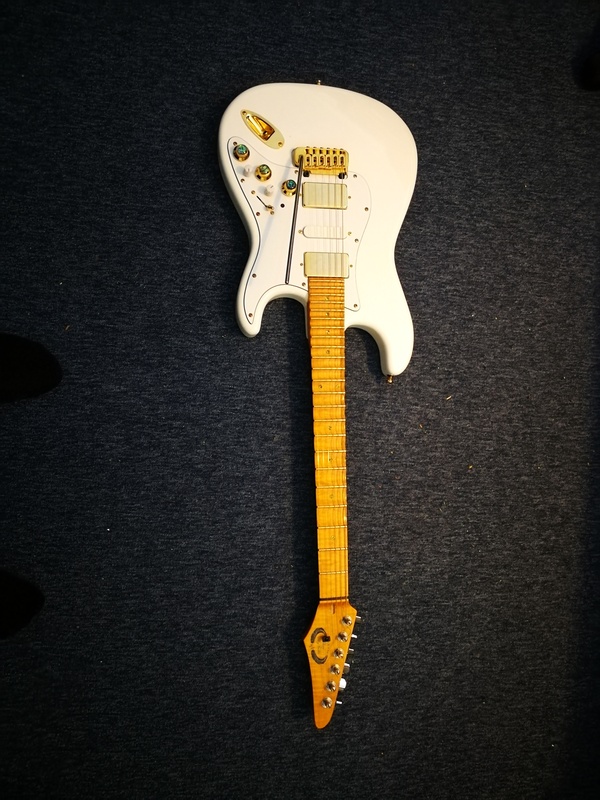 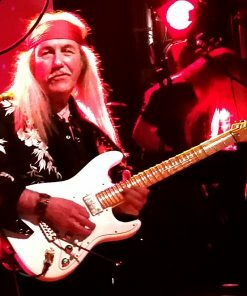 Although Uli has played Sky Guitars virtually exclusively since 1985 and they have become his main trademark, there are those who prefer to see Uli with a Fender Strat, the guitar which he was associated with during his early days and which he used to create his unique style of guitar wizardry. 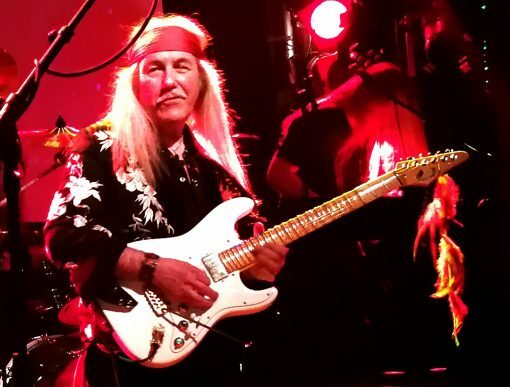 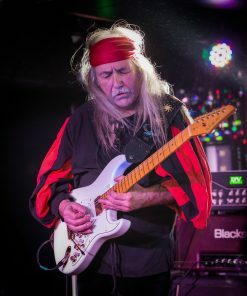 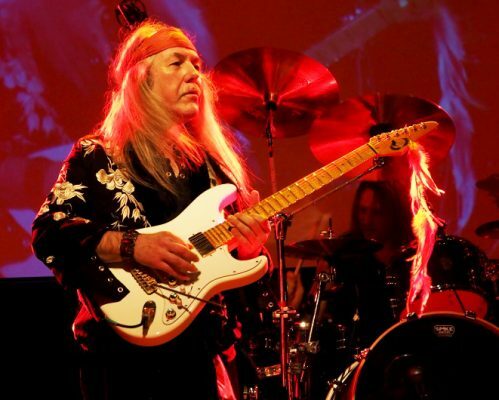 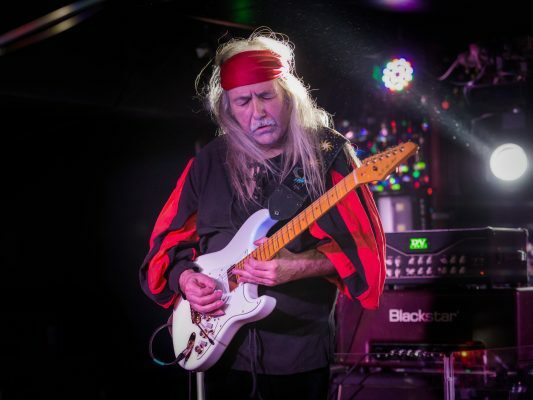 Uli and the Strat is synonymous with albums like “In Trance, Virgin Killer, Taken By Force, Tokyo Tapes, Earthquake, Fire Wind and Beyond The Astral Skies”. 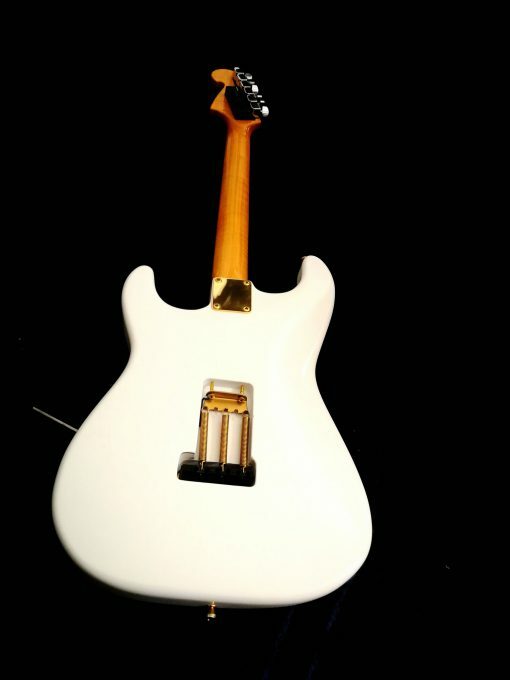 All of these albums are of undeniable importance for the history of the electric guitar. 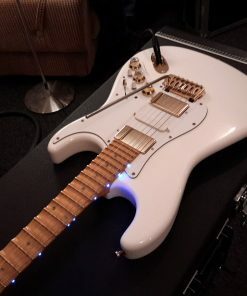 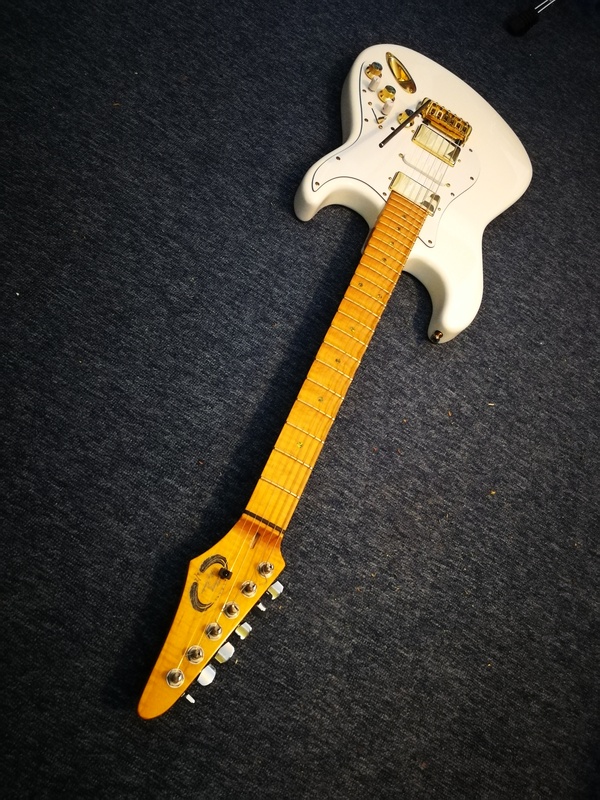 The Sky Super Strat is essentially an unusual hybrid in that it combines certain key features of the original Fender Stratocaster with the sonic power, versatility and super smooth handling of a modern day Sky Guitar – including the Mega-Wing III system and a Sky Guitar type neck. 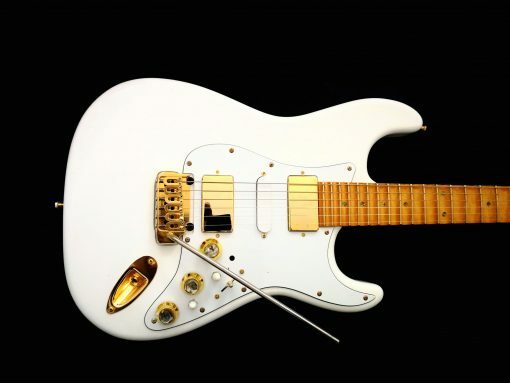 The body shape is unadulterated and vintage Strat in every aspect, but just about everything else is Sky Guitar. 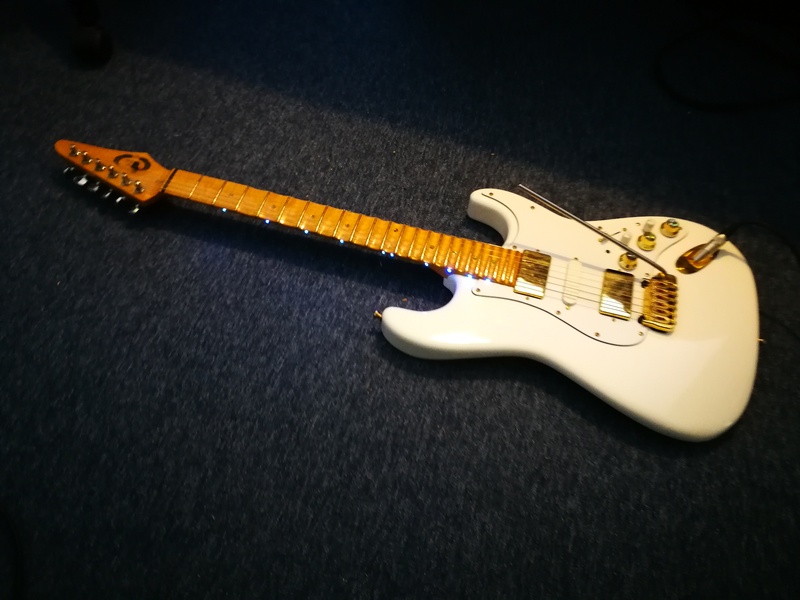 The combination Strat & Mega Wing III is unbelievably perfect and the result is sheer sonic bliss for all those who gravitate towards a great Stratocaster tone. 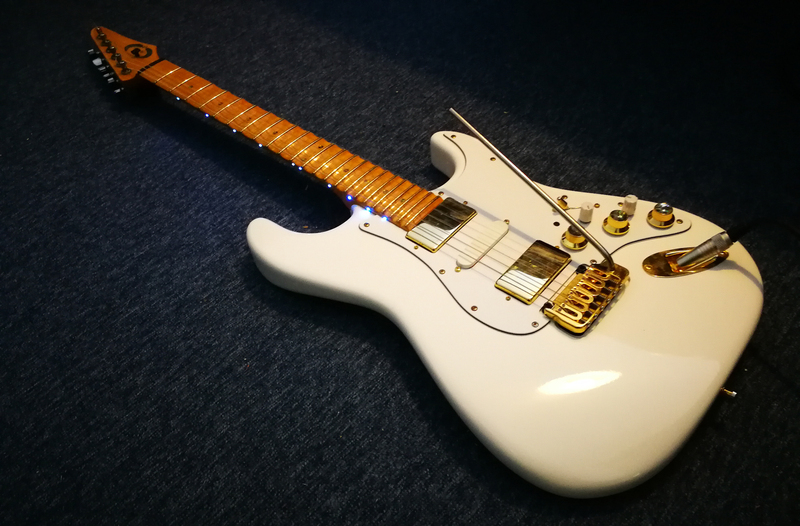 In our opinion, the tone of this guitar surpasses that of any Strat on the market, no matter how well built and this is why we gave it the name of “Super Strat”. 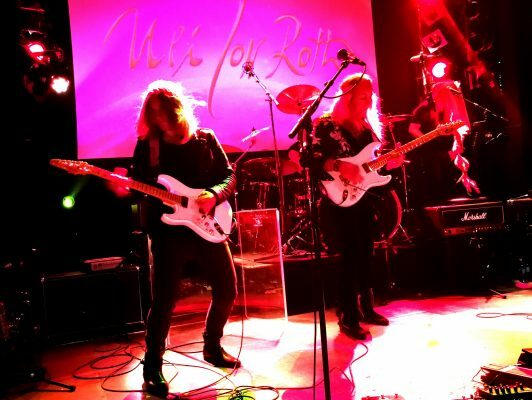 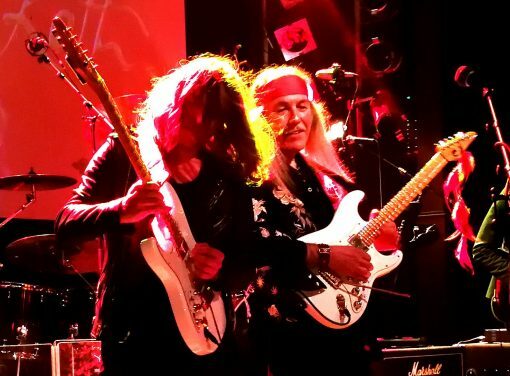 Uli, playing his Sky Strat protoype, “Angel Dust”, trading leads with David Klosinski who is playing his brand new left-hand Super Strat, “Gwiazda”, on the same day it was finished! 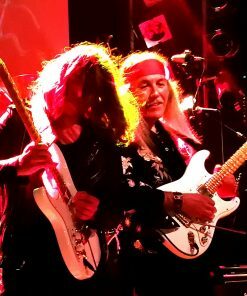 Hamburg, Dec 16, 2018.